This is Part 3 of Liam’s Superhero birthday bash post. What is a superhero toddler party without a bunch of super games? 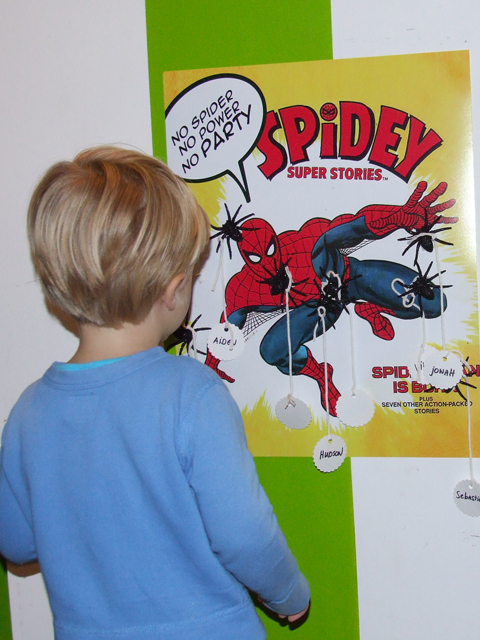 Pin the Spider on the Spiderman. Kryptonite Hunt. Beat the Party Crasher Ball Throw. Catch the Joker Spray Gun. A classic. You can’t have a party without pinning something onto something. Here a fun spiderman option I designed. Click on this link pin the spider for a full pdf download of the poster. The spiders I bought at Halloween, (a week before my son’s birthday) at Dollarama. 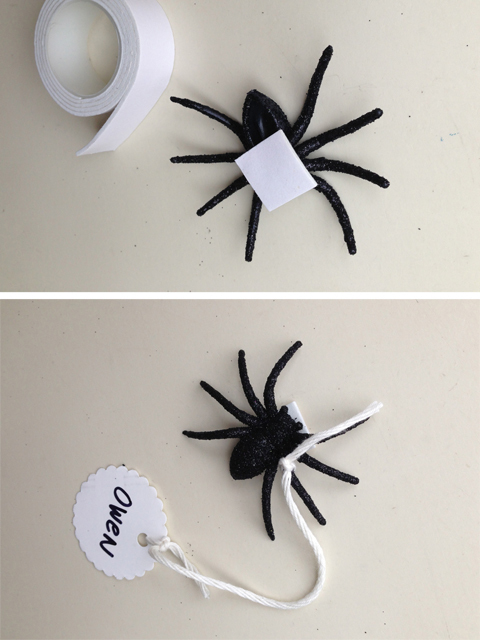 I added double-sided tape to their backs and attached little tags with each kids name. The tags I cut with a cupcake topper cutter from some hard stock paper. I attached some cotton thin rope and hand-wrote the names with a black marker. At the end of the game, we could easily see whose spider was positioned where. As a last-minute addition, I created a custom blindfold: a quick spiderman mask from black and red felt attached to a stretchy headband. 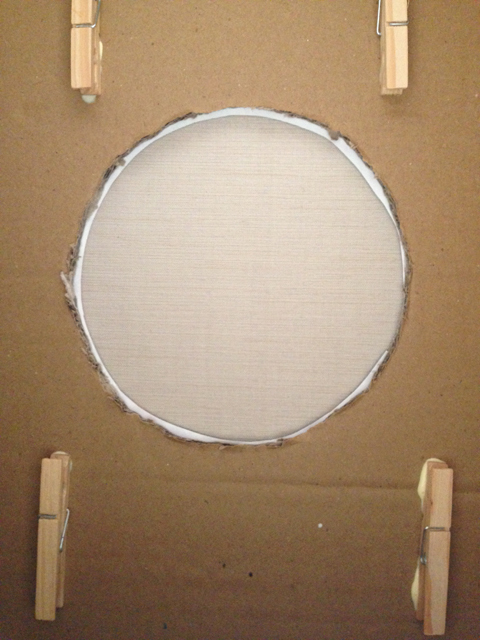 I am not including a pattern in this post as I free-styled that one. I am sure you can too! When you give eight 3-year old boys and one supergirl a can of silly spray and you tell them to go crazy….they do! Probably the most popular and inappropriate game, was Catch the Joker. I simply designed a poster with Batman, the Joker card and a bunch of bats. Kids were told to hit the card and not the bats (who are Batman’s friends). Tons of fun! Click this link batman for the full poster pdf download. Beat The Party Crasher is a game I invented. Kids had to throw a ball through the mouth of the “crasher”. I then put small prizes inside the box. 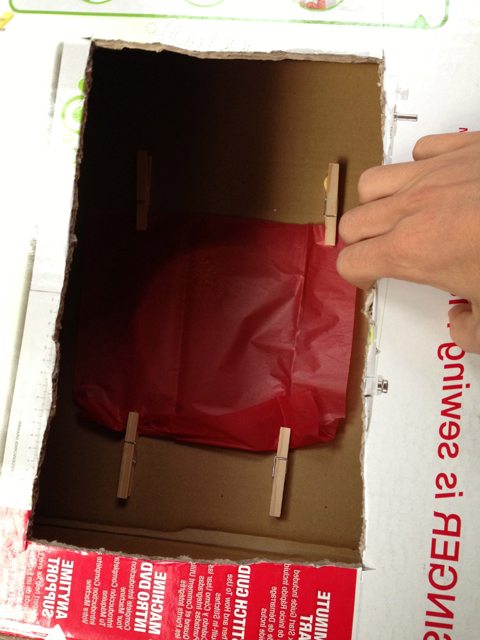 The mouth of the crasher was “closed” with tissue paper, because it’s fun to crash the ball through the tissue paper. I used an old carton box. 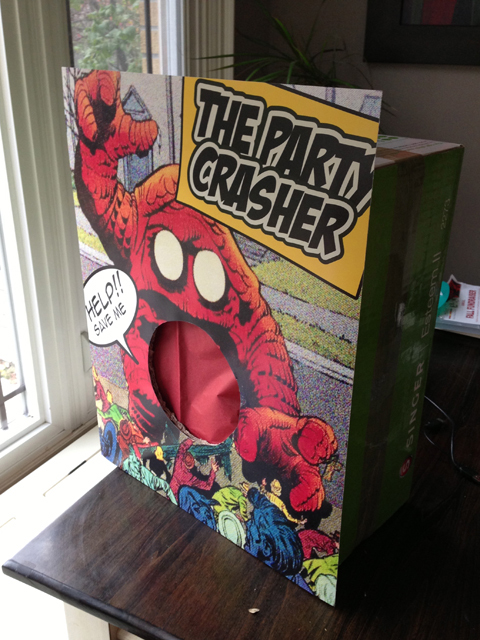 I stuck the crasher poster I designed on the front and cut a square opening in the back (glue 4 clothespins to the inside to hold the tissue paper for the mouth hole). Click this link crasher for the full pdf poster doanload. The Kryptonite game is very simple. It was the first activity at the party. Half an hour before the start of the party I hid about 20 pieces of kryptonite around the place. Tell the kids the party is not safe with kryptonite hidden in the room and send them on a treasure hunt to sweep the place. How to make kryptonite? I picked up some rocks from my driveway and painted them with green glitter spray which I found at Dollarama. From: Kid's Birthday, Other Party, Party Time! sorry BC, I missed your question. The printing of the posters I had done at Vistaprint online. Any other store that prints will do a good job too. I ended up paying around $6 per piece for the posters. Running out of ink is the last thing you need in the middle of some serious DIY action.